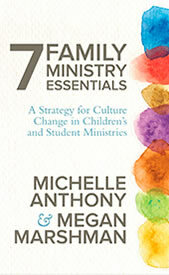 Resources to equip family ministry. 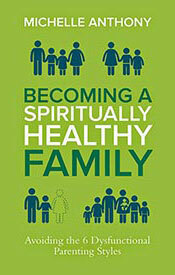 Discover how to build a strategy for life-changing family ministry. 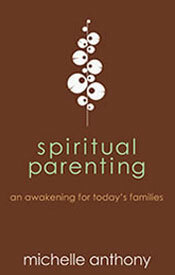 Help parents cultivate a vibrant faith and love of God in their children. 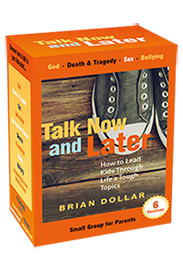 Equip families to guide their kids through life's tough topics. 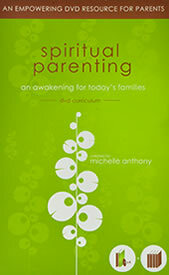 Gain biblical insight on the spiritual role of parenting. Explore how to avoid six common dysfunctional parenting styles. 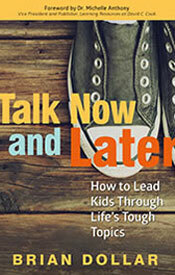 How to talk to your kids about the big issues in life—now and later. Lead kids on a lifelong journey of daily time in the Word. 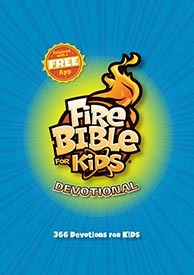 Draw kids into God's Word from a Pentecostal perspective. 1. Some of my volunteers are hesitant to lead storytelling. How can I help them feel more comfortable doing this? 1. Why don’t the Old Testament feasts and festivals line up with the calendar? Remembering and celebrating is an important part of Tru Fire philosophy: to pause and look back, to acknowledge what God has done, so every age level participates. There are a couple of ways the feasts and festivals could have been ordered throughout the curriculum. We chose to begin with Passover and continue through the Jewish holiday calendar in order. We finish our cycle of eight holidays with the Year of Jubilee, a yearlong celebration ordained by God. 1. Our children and leaders have never tried worship response. How do we get started and what should we expect? Worship response stations give kids the opportunity to worship God corporately and individually. In addition to stimulating godly worship and praise, response stations spiritually affirm who kids are in Christ—God wants to hear from them and they are a part of The Big God Story. This time is intended for children to freely express their worship as the Holy Spirit leads them. Although each week’s lesson will suggest a “Worship as Response,” there are endless ways to create space and prompts. Feel free to adapt to whatever will work best with your children and ministry needs. For examples, descriptions, and photos, please refer to the How It Works document. 1. What happened to the Homefront Weekly? The Homefront Weekly has been renamed to “At Home Weekly”. Families will receive the same great content, but with a new name! 2. What happened to the PDF version of At Home Weekly? One of our highest values is listening to our customers and responding to the needs of the local church. Over the last few years we have received much feedback asking for the At Home Weeklies to be in an editable format with a simpler design. Many churches are translating the weeklies for their churches or are adding content that is specific to their ministry. So, last year as a part of our promise to simplify design, supplies, and prep - the At Home Weeklies were simplified as well. Since making this change we have received much feedback asking for the previous design. In response, we are currently in the process of discussing how we can bring more design features back in to the weeklies, while allowing them to be editable without limiting access due to applications that some churches may not have available to them. It is our hope that we will be able to find a solution that allows our users to have more design and the ability to customize. 3. How is Tru Fire curriculum related to HomeFront Magazine? 4. Is HomeFront Magazine a part of my Tru Fire subscription? Each month, a small team of incredibly talented and hard-working folks pull together this amazing resource that many churches have grown to cherish as a valuable family ministry supplement for their families. Homefront is available as an addiontal subscription. Churches can purchase an annual print subscription for $49.99 per year at homefrontmag.com. 1. What should I do if an activity is too old/young/short/long/complicated/expensive/messy? The activities and supplies provided are suggestions. Don’t feel like you have to follow them exactly. Although Tru Fire has been practitioner tested through the years, it’s up to you to customize it to fit your unique ministry. One of the appeals of Tru Fire is the customizable feature and the adaptability of each lesson. Many activities will offer options within the supplies or instructions (including the Small Group Enhancements). Feel free to adapt your setup, where you do the activity, the supplies you use, or even how you end up pulling it all together. As you become more familiar with using Tru Fire and the flexibility it offers within its lessons, you’ll see places you can swap out, move around, naturally insert what you want to cover, or alter as needed. 1. Tru Fire Blessings: Where can I purchase Hamilton the Hedgehog? Hedgehogs are awesome, but live hedgehogs may not be a realistic option for your own Hamilton! For this reason, a lot of Tru Fire Blessings subscribers want to know where they can find a toy Hamilton as well as instructions on building a house for the little guy. 2. Tru Fire Story: How do we play ZONK? To play, divide the children into two teams (for example, girls versus boys). Ask one team a question (while showing the corresponding slide) and have the kids from that team raise their hands to answer. If a child answers correctly, have him pull a card (or cards) from the bag. He can grab as many cards as he (and his team) wants, and the point values will be added to the team’s score. But if the player pulls a “ZONK!” card, his team loses all of its points! If the child draws a “Challenge Card” the whole team must act out the challenge to get the amount of points written on the card. Everyone on the team must participate in the challenge or the team loses the amount of points written on the card. Optional: If the child draws “The Wheel” card, she gets the chance to spin the ZONK! Wheel. The wheel will stop spinning at one of the following four categories: “Remember Verse” (recite the current Remember Verse perfectly from memory), “Leader Trivia” (answer a question about a leader in the room), “History” (answer an old ZONK! question), or “Sword Drill” (locate a specific passage in the Bible in 30 seconds or less). After successfully answering the question or completing the challenge, the player’s team will either double its points or earn a very large number of points (such as 15,000). The ZONK! Wheel can only be used once per game. After you’ve asked all the questions, the team with the most points wins! The Prayer of Release is a prayer to help kids let go of distractions, and prepare themselves to learn from and hear from the Holy Spirit and what He is teaching them. For little ones (kids in Tru Fire Blessings) it can be as simple as thanking God for the time together, asking Him to quiet the wiggles we may have and to help us hear what He wants to teach us today. For children in Tru Fire Wonder— perhaps… thanking God for the time together. Asking Him to calm their bodies, and prepare them to hear what He has to say to them today. And modify as you move into older age levels. 2. 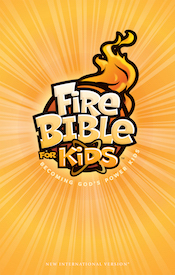 How does the Fire Bible for Kids connect with Tru Fire? 3. What are the Small Group Enhancements?